Situated just a block from the hustle and bustle of downtown Delray Beach, Florida in the luxurious townhome community of the Landings of Delray Beach is this beautifully updated courtyard townhome. Set across 2 levels, this Landings of Delray Beach beauty offers over 3,600 square feet of living space with 3 bedrooms and 3.5 bathrooms. The stunning interior boasts a number of desirable features including an elegant courtyard entry, a generous Master Bedroom with expansive custom closet, a spacious eat-in kitchen with upgraded wood cabinetry and a full suite of top-of-the-line appliances, an office, hardwood and marble flooring, intricate crown moldings, plantation shutters, 2 gas fireplaces, a sound system, a gorgeous covered patio and a 2-car garage. 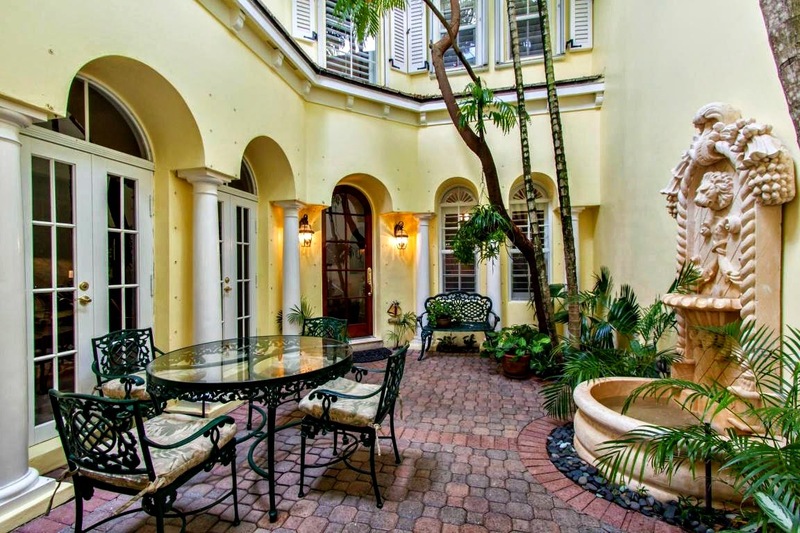 790 Andrews Avenue #f 104 is located in Delray Beach and is currently asking $1,075,000. This Landings Of Delray Beach listing is courtesy of Coldwell Banker/br MLS# RX-10131657. The Landings of Delray Beach is a collection of luxurious townhomes situated just steps from downtown Delray Beach. Residents of this pet friendly community enjoy a generous array of premium amenities including gated entry, resort-inspired pool with Jacuzzi, a highly rated clubhouse, a fully stocked library and a state-of-the-art fitness center. Landings of Delray Beach also offers residents a premier downtown Delray Beach location just steps to trendy boutiques, world-class dining and miles of pristine beaches.